My journey as a writer has involved some amazing adventures in creative, academic, copy and grant writing, as well as journalism and spiritual non-fiction. My writing has covered a breadth of topics — from travel, art, life and culture — to social commentary, community, yoga and spirituality. Currently, I am mostly focused on the kind of work that is aligned with my heart-centered practice, and enjoy telling the stories of organizations that support positive connection in the world through action. 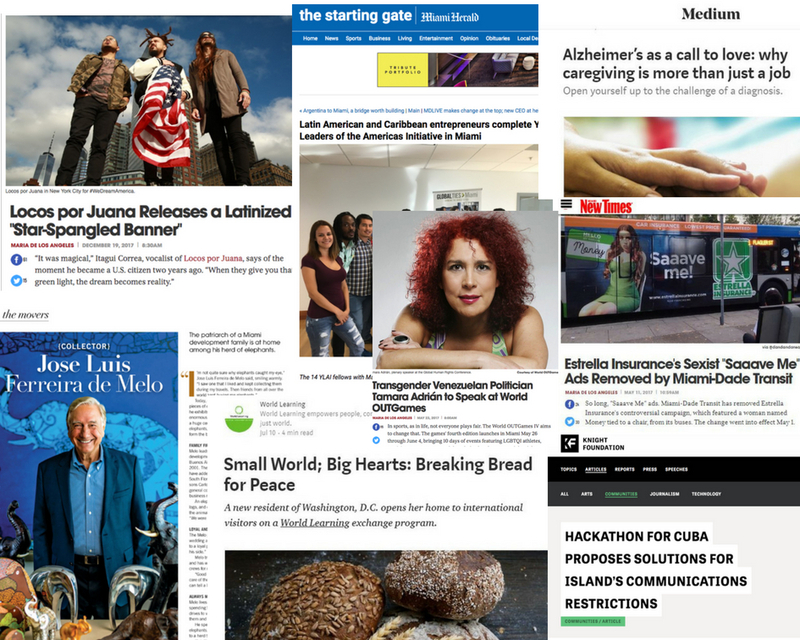 My most recent work for international diplomacy non-profit Global Ties Miami best illustrates this role: I acted as an in-house journalist for two editions of an international exchange program involving entrepreneurs from the Caribbean and the Americas. Fully bilingual in Spanish, I can move seamlessly from interview to written word between the Hispanic and U.S. community. My writing career spans three decades during which time social media and multimedia became tools for storytelling and engaging audience. One of my more in-depth projects included work for Comcast’s Project Open Voice, where I shot and produced short documentaries, and a brand ambassordship involving video for Ford’s Fiesta Movement. Embracing the digital communications age, I also authored an award-winning blog for 12 years and co-produced and hosted a podcast for six. You can learn more about my writing over at Linkedin, read some pieces on Medium or here on the blog. My latest freelance journalism work is over at Miami New Times. Please contact me for further inquiries.